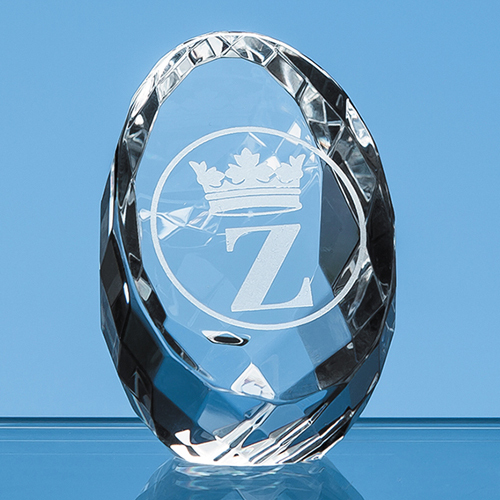 Made from the highest quality optical crystal, this multi-faceted award is hand-bevelled and polished and is perfect to use as a corporate or individual recognition award or as a memento of a special occasion. Available in two sizes  8.5cm (shown) and 6cm, it reflects the light beautifully and would sit equally well on in the office or at home. With space for personalised engraving, crest or logo makes a truly memorable reward. Plus, it comes in its own presentation box.